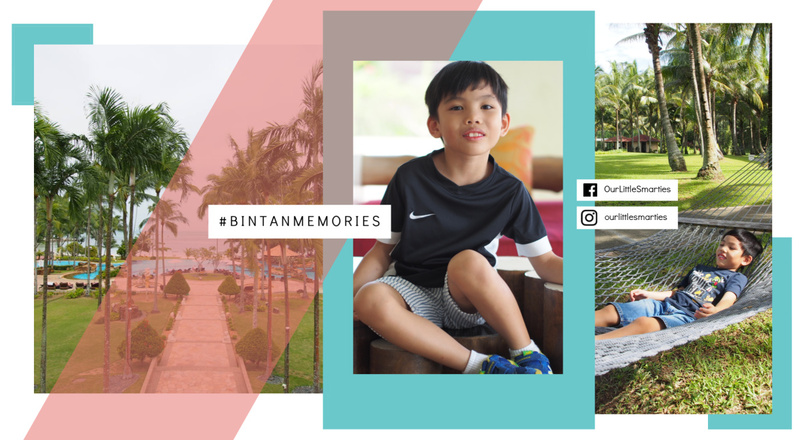 Today, I’m pleased to share with you that Bintan Resorts has launched their Bintan Memories campaign that runs from 21 Jan 2019 till 18 Feb 2019. 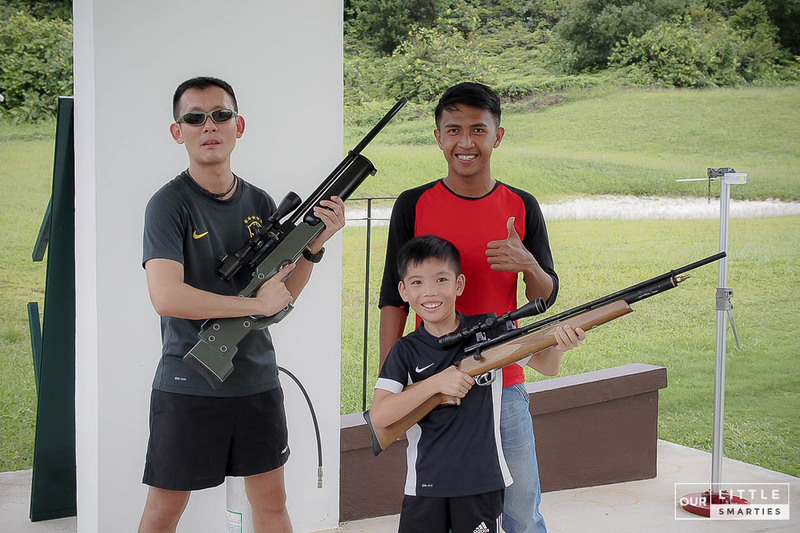 The key highlight is a contest conducted on Facebook and Instagram where visitors are invited to share their Bintan memories. Two lucky winners will walk away with the grand prize – a 3D2N stay in a resort at Bintan Resorts including roundtrip ferry tickets and a full board experience with activities for two persons.  Grand Prize: The entry with the most likes on Facebook and Instagram – one winner per platform – will win a 3D2N stay in a resort at Bintan Resorts including roundtrip ferry tickets and a full board experience with activities for two persons. Four lucky winners, two from Facebook and two from Instagram, will also win a 3D2N stay in a resort at Bintan Resorts. I’ll be posting my entries soon. And if you see my posts, please remember to “LIKE” them. Okay? Good luck to you too! I can’t wait to return to Bintan and create more beautiful memories that I can look back in the years to come. Of all the travel destinations near Singapore I’ve travelled to, Bintan Island is the closest I’ve ever come to finding paradise. The feeling of relaxation that hits me as soon as I arrived is still my fondest memory of the island. 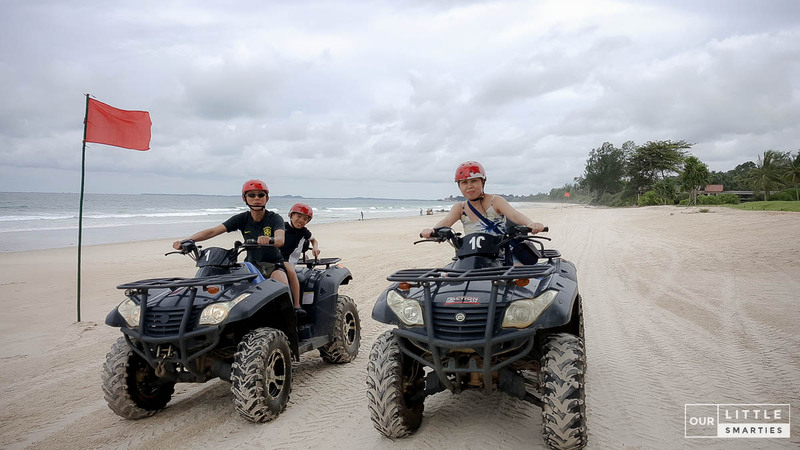 White sandy beaches, fun family-friendly activities and affordable spas also make Bintan Island a favourite getaway for many Singaporeans. 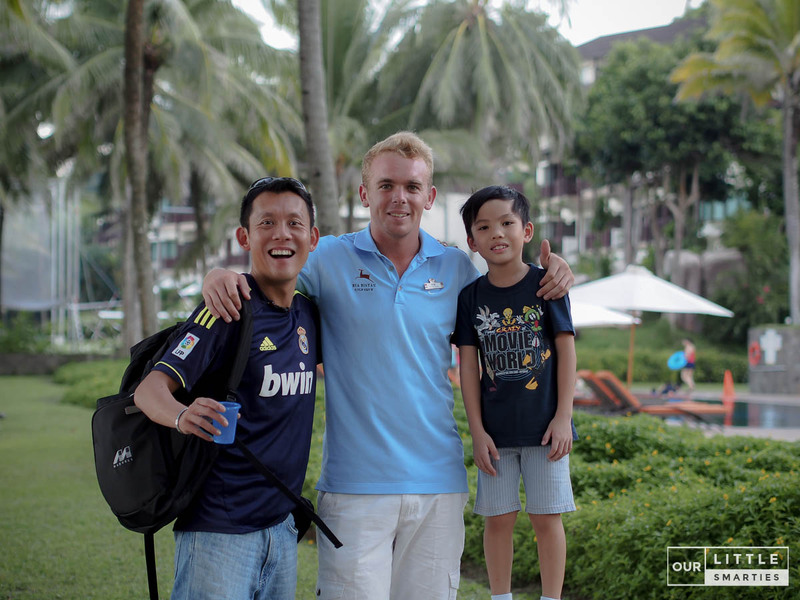 I travelled to Bintan for the first time with V and Edison in December 2014, and it has been on my mind ever since. 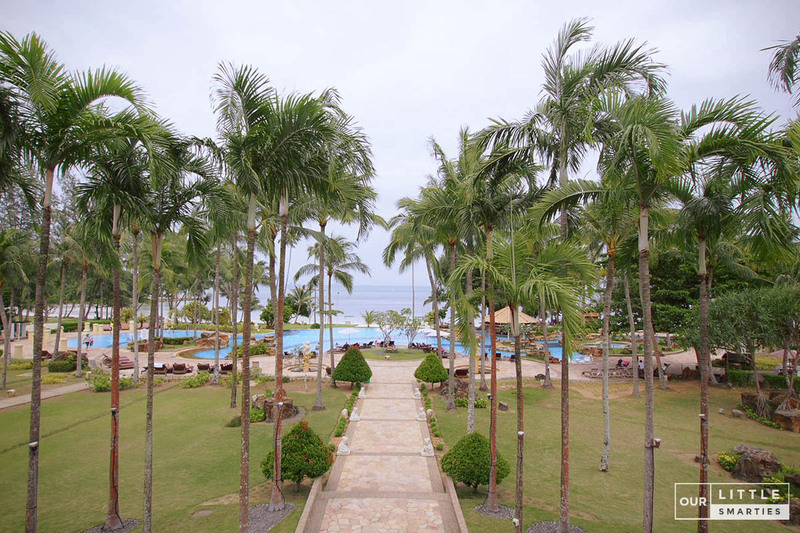 Whenever we talked about beach vacation, we always reminisce about moments from our incredible stay at Club Med Bintan. 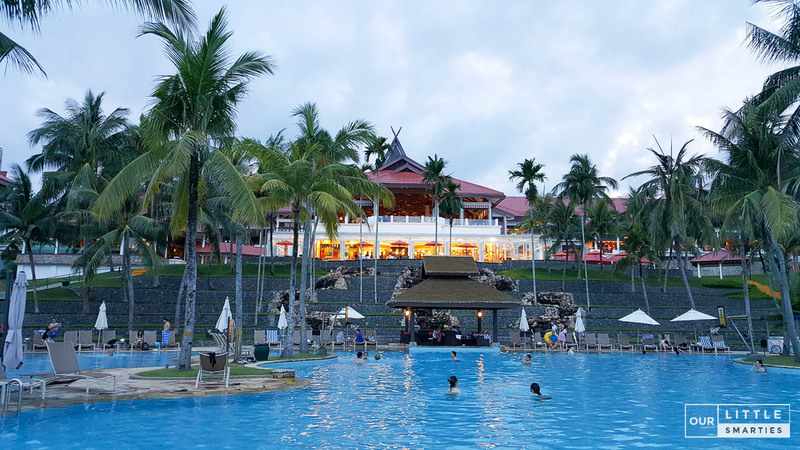 It was our first visit to the well-known all-inclusive premium resort, and it was PERFECT! Everything was taken care of for us, from the kid’s club to sports, activities, all-day gourmet cuisine to entertainment and parties, we just need to sit back and relax. Well, that’s what vacation is for, right? I looked through my photo album, trying to find those photos and tadaa! 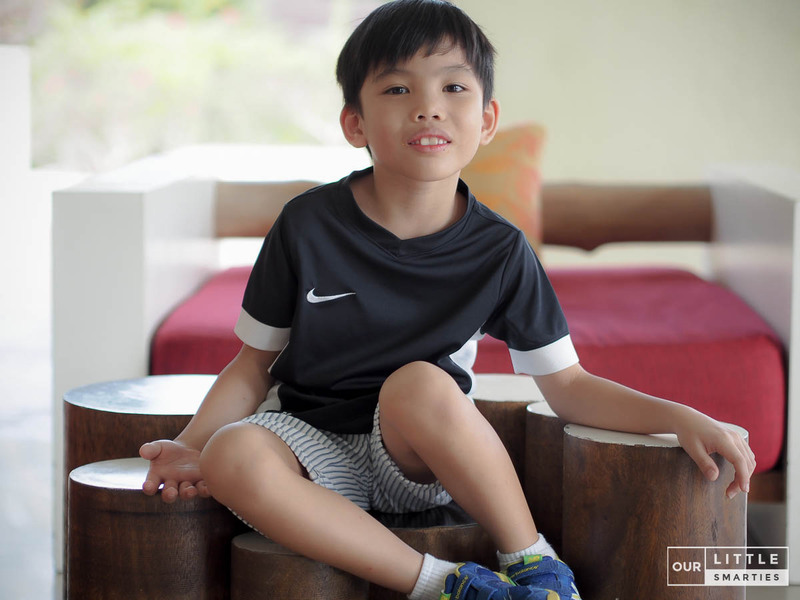 Here they are – his fondest memory in Club Med Bintan. Two years later in 2016, we visited Bintan for the second time. We stayed at Bintan Lagoon Resort. This is the resort that I often recommend to families with young kids because they have their own private jetty and immigration terminal. This means – you don’t need to get through the hassles at Bintan’s main ferry terminal and immigration queues. 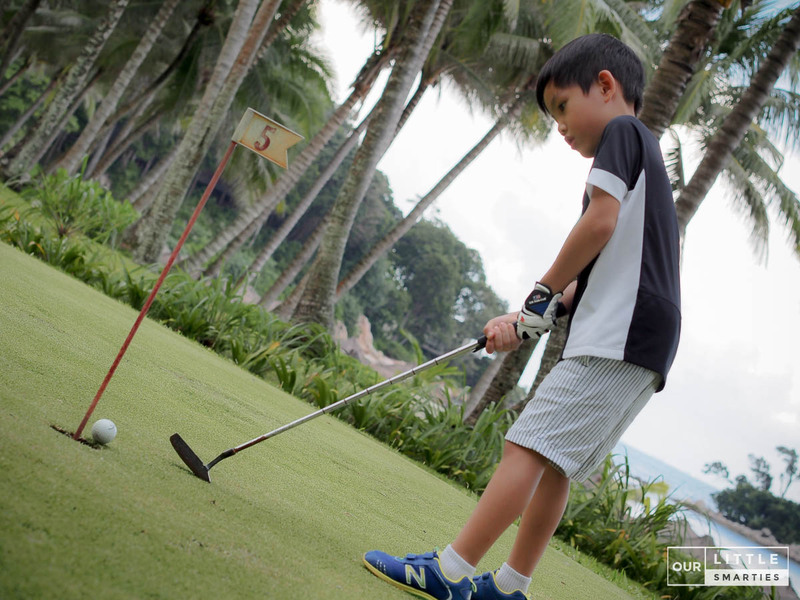 Bintan Lagoon Resort is the largest integrated resort in Bintan with over 300 hectares of lush greenery including two championship golf courses, two big sets of swimming pools, and 1.5km private beach. 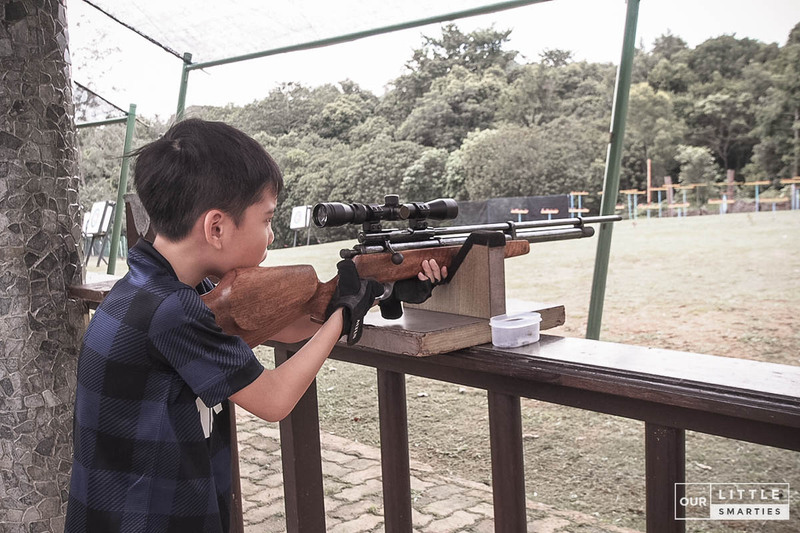 What we like best is their wide range of activities – All Terrain Vehicle (ATV), archery, golf driving range, air rifle, etc. My fondest memory is riding the ATV for the first time along the seashore and into the challenging jungle terrain. It was SO exciting and memorable! We also visited Nirwana Gardens, an integrated beach resort that offers five accommodation types ranging from the family-friendly Nirwana Resort Hotel to the rustic Mayang Sari Beach Resort, village-style Nirwana Beach Club, Banyu Biru Villa for families and gatherings, as well as the exclusive Indra Maya Pool Villa. Our fondest memory here is riding the Ninebot together. It was the first time for all of us. 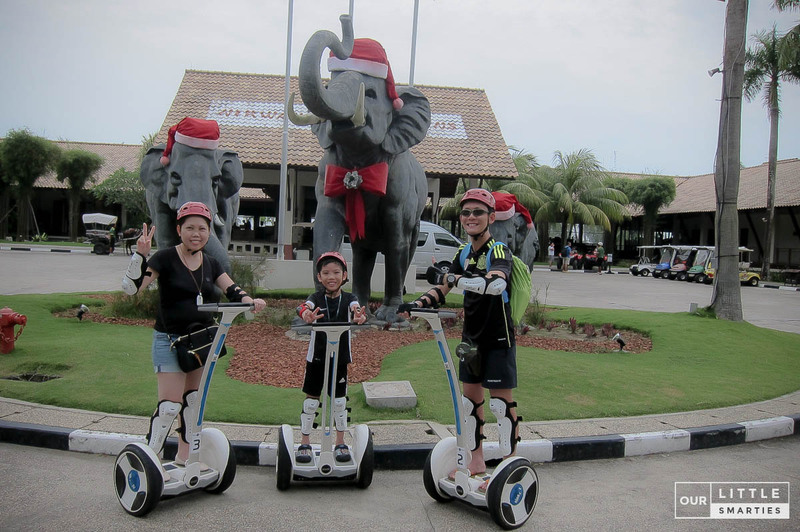 We went on a Ninebot Tour to explore the resort areas including the exclusive villas, elephant sanctuary, mini zoo, beach, etc. It’s certainly the most fun sight-seeing experience we’ve ever had!